WATERLOO, Iowa -- On his first trip to Iowa as a presidential candidate, New Jersey Sen. Cory Booker urged Democratic activists in small towns and black leaders on Friday to heed his call for social justice and apply it to the fight for universal health care coverage and a fair criminal justice system. Booker opened his first day of campaigning in the early voting presidential caucus state using the rhetoric reminiscent of the civil rights movement to distinguish himself early in the race. And although Iowa is a vastly white state, Booker's is a sentiment that echoes within the state's Democratic base. It's a theme that appeals to Nancy Bobo, a white Des Moines Democrat who likes Booker. In Waterloo, Booker became the first presidential candidate this year to visit Black Hawk County, where the black population -- at 9 per cent -- is more than twice that of Iowa overall. "I want to try to rekindle in all of us the idea that this has got to be a moment in this nation that is more than just about an election," he told the audience in Mason City. "This is about the cause of our country." 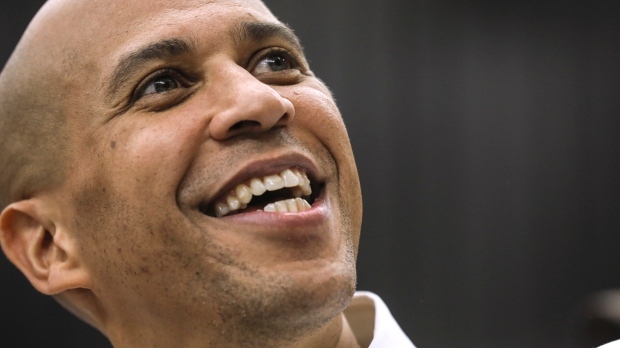 "Cory Booker's candidacy is the best vehicle for inspiring the kinds of large voter turnout in communities of colour that will be necessary for progressives to win up and down the ticket in 2020," he said in an emailed statement. Booker was campaigning in Cedar Rapids and planned to visit Iowa City on Friday and continue to stops in Marshalltown and Des Moines on Saturday. Associated Press writer Brian Slodysko contributed from Washington.